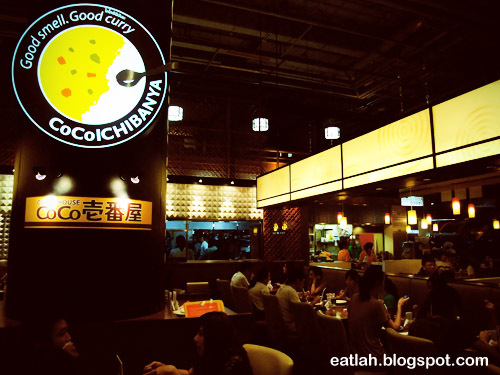 CoCo Ichibanya Curry House @ Siam Paragon, Bangkok | where and what to eat lah? Unfortunate that one of our favorite shopping mall in Bangkok, CentralWorld was closed due to the arson damage received during the red shirt protest not long ago. 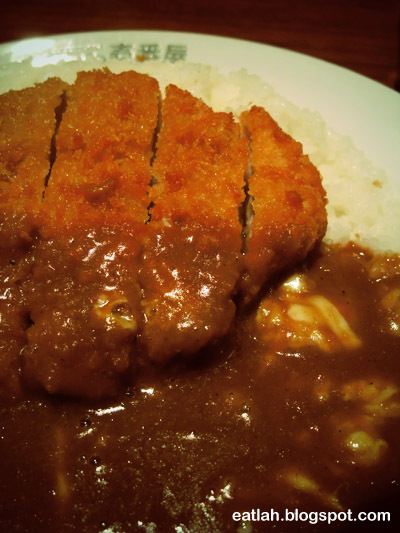 We used to have our favorite Japanese curry rice (カレーライス) here every time during our visit to Bangkok. Knowing that we were unable to satiate our cravings this time, we disappointingly walked to Siam Paragon instead. Unexpectedly, we found CoCo Ichibanya Curry House, the famous curry house from Japan with 30 years of experience and more than 1,200 branches - 1,185 in Japan, 4 in United States, 15 in China, 6 in Taiwan, 5 in Korea, 7 in Thailand and NONE in Malaysia (sad!). When we arrived, it was fully packed! We had to take a number in a waiting list and got seated about 20 mins later. 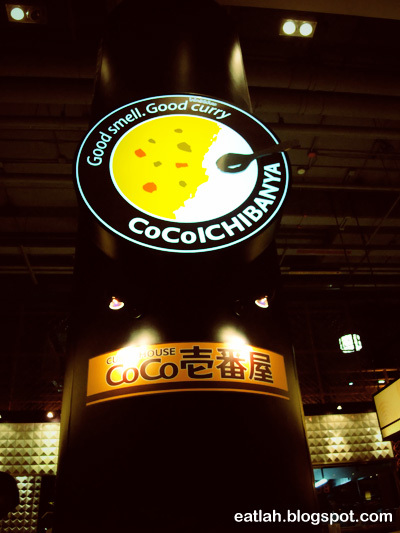 CoCo Ichibanya offers extensive varieties of Japanese curry with unique and creative styles, such as pork cutlet cheese mix, grilled pork with kimchi, cream mushroom omelette, salmon cream croquette, hamburger, and many more! You can also order your curry however you like it - with the specific mix of toppings (egg, cheese, clam, kimchi, eggplant, bacon, etc., with each topping priced between THB 20 - 30) and the level of spiciness of the sauce. 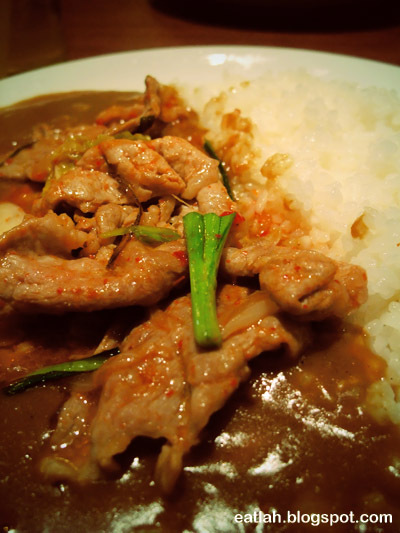 Fukujinzuke is the main sidekick to Japanese curry rice. 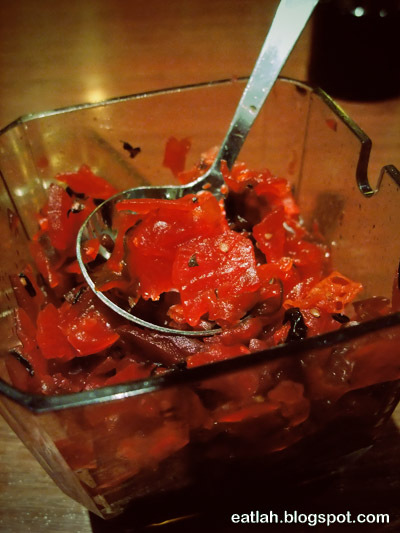 Fukujinzuke is one of the most popular of Japanese pickled accompaniments, particularly with Japanese curry. I like how they add a subtle sweetness and pleasingly crunchy texture to the curry rice. Pork cutlet curry with cheese (THB 190 / RM 19.80), with rich curry sauce generously poured over a bed of short grain rice with thick melted cheese and delicious lightly crisp pork cutlet. This was better than the one I've had before in CentralWorld! How can one not fall in love with Japanese curry? 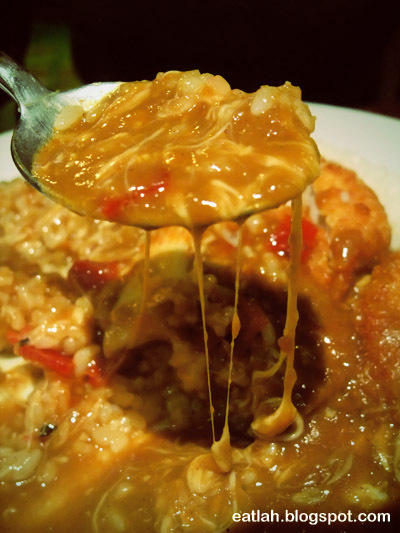 With its glistening sexiness, Japanese curry has a unique mild and sweet flavour unlike any other curry. Grilled pork kimchi curry with cheese (THB 180 / RM 18.70), the deadly combination from the slight sweetness of the curry with spicy sourish kimchi over a hot plate of rice - it was out of this world! The cheese melting down into a gooey mess under the heat of the hot curry, it does add a certain punch and flavour zing that elevates the taste even further! 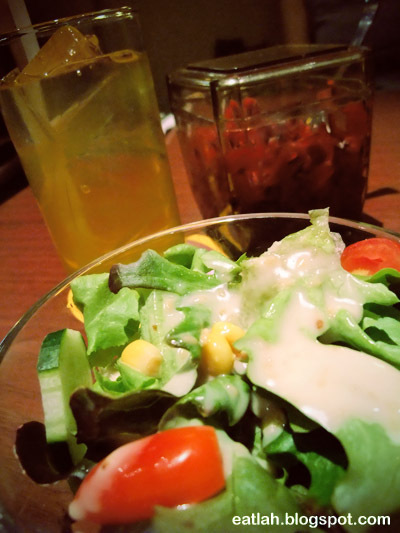 For an additional THB 50 / RM 5.20, you'll get a bowl of salad and a bottle of green tea. Verdict: I'm a Japanese curry addict, so it'll probably be YES! Ichiban desu ne! Portions were generous, 'most' people (except us!) couldn't finish their rice anyway. Only with a slight steep price to pay for to truly understand my addiction. 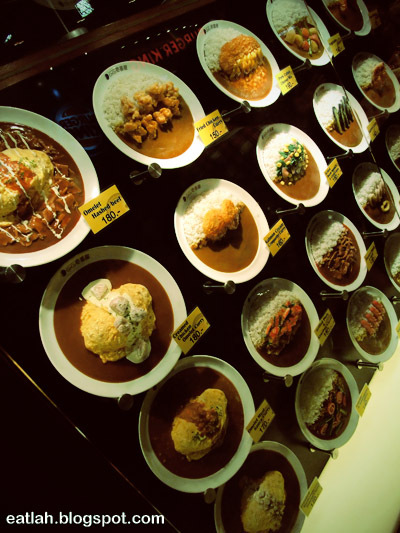 My next favorite Japanese curry rice will be from Isetan Central World!